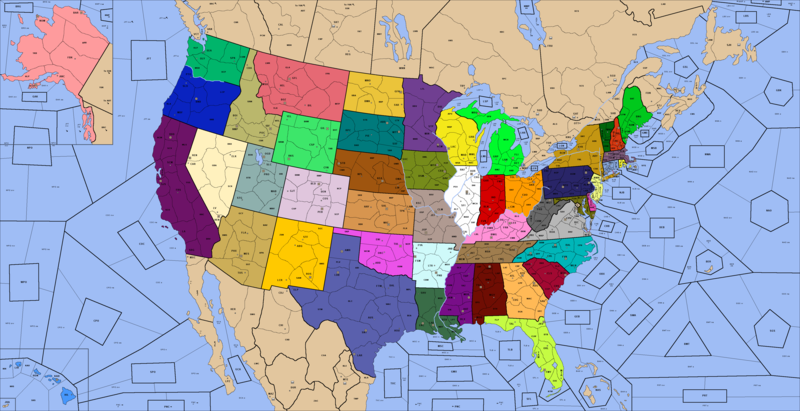 Set after the disastrous 2020 election, Divided States pits the 50 US states against each other in a massive civil war. After the 2016 election, many people were left wondering how the United States would survive such division. While the nation has held together so far, what if that unity disappeared? Divided States is set in 2021, after the chaotic 2020 election caused the US state governments to lose faith in the federal government and each other and declare independence. Yet, as these state governments reasserted control within their own borders, they realized that their own resources were not enough and began to look outwards. With the collapse of the United States, the Canadian and Mexican governments were quick to follow. Drug lords and paramilitary groups took control of several Mexican and Canadian cities, though their lack of unity makes them easy targets for a modern military. Players may build in any vacant Supply Center they own. Each state starts with at least 3 Supply Centers under their control, though some states start with more due to their large populations. Pennsylvania, Illinois, New York, and Florida each start with 4 Supply Centers, while California and Texas start with 5. The game starts with a build phase for every power. If a player does not check in during the first build phase his status is immediately set to "Left" and the country gets a "default build" so another player can take over without a weak start. Most states start with neutral Supply Centers within their modern boundaries. These Supply Centers are colored, but have a neutral box around the Supply Center icon. They do not count towards a player's build phase until they are occupied at the end of a fall, at which point the neutral box will disappear. Players may transform an army into a fleet or vice versa at a coastal Supply Center during the diplomacy phase. The unit is considered to be holding and may be support-held, though the transformation will fail if the unit is attacked. Alaska and Hawaii are separated from the rest of the US and are outside the area this map covers. As a result, Alaska and Hawaii are shown separated from the rest of the US by a 2-line border. Hawaiian territories are connected to the rest of the map like normal, though some Alaskan territories appear in multiple areas of the map. These territories are marked by arrows in their separate sections. In addition, while Yukon (YUK) does not appear in multiple parts of the map, it is adjacent to Saskatchewan (SSK) and Alberta (ABT). The Panama Canal and Northwest Passage sealanes (explained below) also appear in multiple areas of the map. These sealanes are the only naval connection between the Atlantic and Pacific oceans. Supply Centers in Canada and Mexico that cannot be reached within the first year are occupied by neutral standing armies. FRU, SGU, MAZ, and DUR support-hold any adjacent neutral army, while the remainder only hold. Neutral armies disband when dislodged. The Four Corners Monument between Monument Valley (MNV), Navajo (NAV), Zuni Mountains (ZUN), and Colorado Plateau (COP) is the only point on the map where four land territories meet. At this point, units ARE allowed to move diagonally regardless of whether there are any units in the other corners, so a unit in ZUN may move to MNV and a unit in NAV may move to COP. Some coastal territories, while separated from each other, are considered adjacent due to a bridge or strait crossing. These are marked by a red line connecting the two coastal territories and may be crossed by both armies and fleets regardless of who owns the waters between them. The St. Lawrence/Great Lakes river system, the Strait of Canso, the Hudson and East Rivers, the Delaware River, the Mississippi, Atchafalaya, Ohio, Illinois, and Missouri Rivers, and the Colombia River are navigable by fleets and are represented by light blue lines between provinces. In addition, the Erie Canal in New York is also navigable and functions the same as a river. Fleets may move along and across rivers. Rivers do not obstruct land movement. Some island territories also control some water around the island. These islands can house armies, but they must be convoyed there or built there. Fleets on islands cannot convoy. Sealanes are an addition to the map designed to bring coastal states into contact with more neighbors and prevent stalemate lines. 1. Oceans and the Great Lakes are divided into Sea Regions, which are further subdivided into Overseer Zones (OZs) and Sealanes (SLs). Sea Regions are represented by a bold line around multiple sea territories that share the same 3-letter abbreviation surrounding a bolded box. 2. OZs are designated with a bold box around their abbreviations. OZs are adjacent to any OZs in adjacent Sea Regions, all SLs in their own Sea Region, any SLs directly adjacent to their Sea Region, and any normal territories adjacent to their Sea Region. 3. Sealanes are adjacent to their OZ, all other SLs in their Sea Region, any OZs in directly adjacent Sea Regions, any directly adjacent SLs, and any adjacent normal territories. 4. All territories within a Sea Region are separate and each may be occupied by a fleet, regardless of its nationality. Keep in mind that new routes for convoys and retreats now exist. Sealanes were first implemented by kaner406, so the credit for the idea goes to him.